THURSDAY, March 24, 2016 (HealthDay News) -- More than half of kidney transplant recipients wind up in an emergency department within two years of their operation, a new study finds. The researchers looked at more than 10,500 kidney transplant patients in California, Florida and New York. The investigators found that ER visits were made by 12 percent of patients within one month, 40 percent of patients within one year and 57 percent of patients within two years. 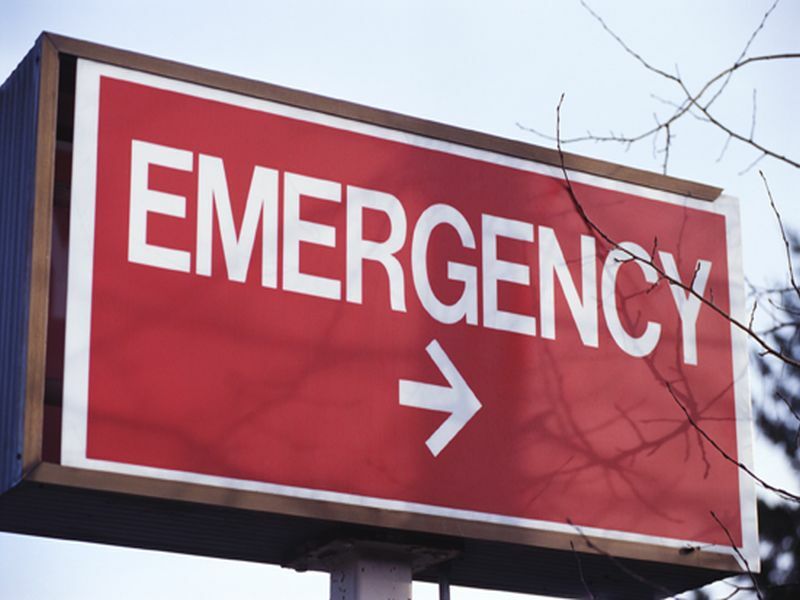 Forty-eight percent of those ER visits led to hospital admission, according to the study published online March 24 in the Clinical Journal of the American Society of Nephrology. Risk factors for ER visits included: younger age; being female; being black or Hispanic; having public insurance; having depression, diabetes or peripheral vascular disease; and use of ERs before the transplant. The findings shed light on the need to coordinate care for kidney transplant patients, said researcher Jesse Schold, who's with the Cleveland Clinic. "These data provide fundamental baseline information concerning the scope and factors of emergency department visits, and potential interventions and target populations for future study," Schold said in a journal news release. He stressed that "it is crucially important" that emergency department doctors are aware of the specific issues related to transplant recipients. "Moving forward, tailored interventions, particularly to patients and institutions with high rates of emergency department visits following discharge, may be important," Schold added. Nearly 17,000 people receive kidney transplants each year in the United States, the researchers said. In an editorial accompanying the study, Dr. Lorien Dalrymple and Dr. Patrick Romano, both from the University of California, Davis, wrote that the study suggests the need for research into the reasons for kidney transplant patients' hospital admissions, possible disparities in access to care and rates of repeat ER visits.